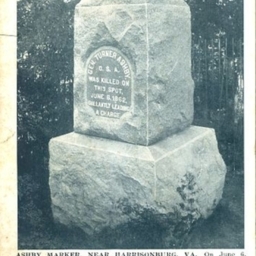 Postcard showing the memorial stone that marks the spot of Turner Ashby's death during the Civil War. Includes description of Ashby and local battles. 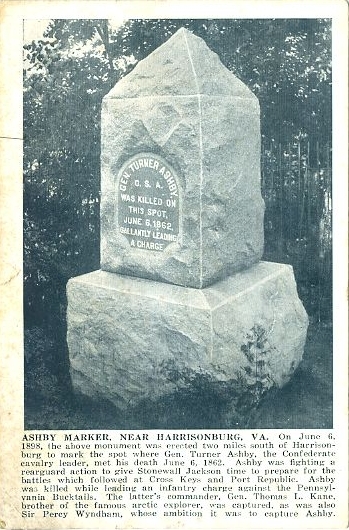 Shenandoah Publishing House, “Ashby Marker Near Harrisonburg VA,” Shenandoah County Library Archives, accessed April 24, 2019, http://archives.countylib.org/items/show/5855.